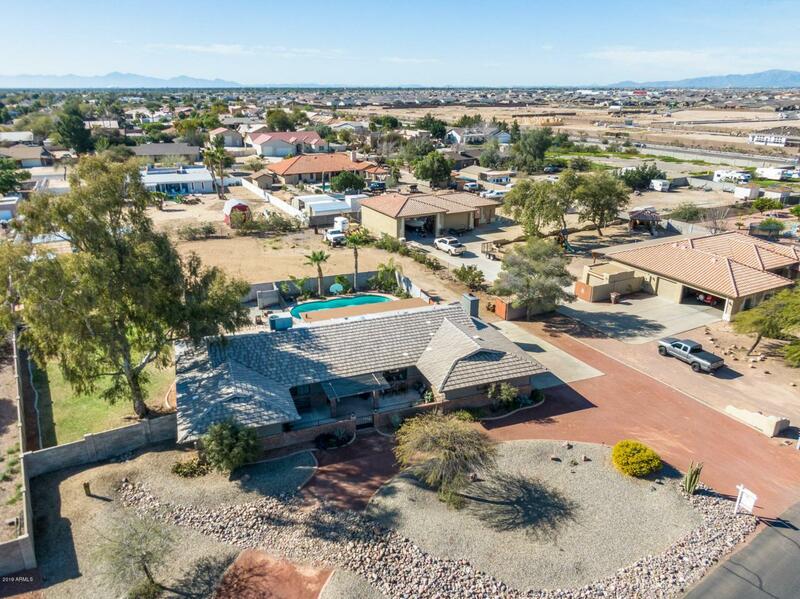 Amazing Horse Property in the North West Valley! 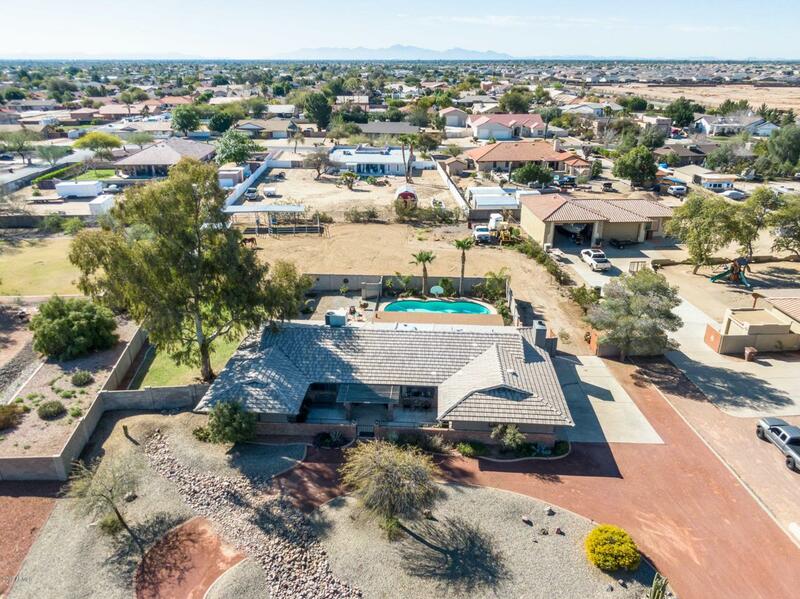 Surrounded by gorgeous mountain views, this home is located in the highly desirable community of Peoria. Beautiful, low maintenance desert landscape neatly trims the front exterior, and the gated courtyard is the perfect spot for gazing at the morning sunrise. The interior is well maintained with newer flooring throughout. The front room can be used as a formal living area or den, while the rustic family room is perfectly cozy around the fireplace. 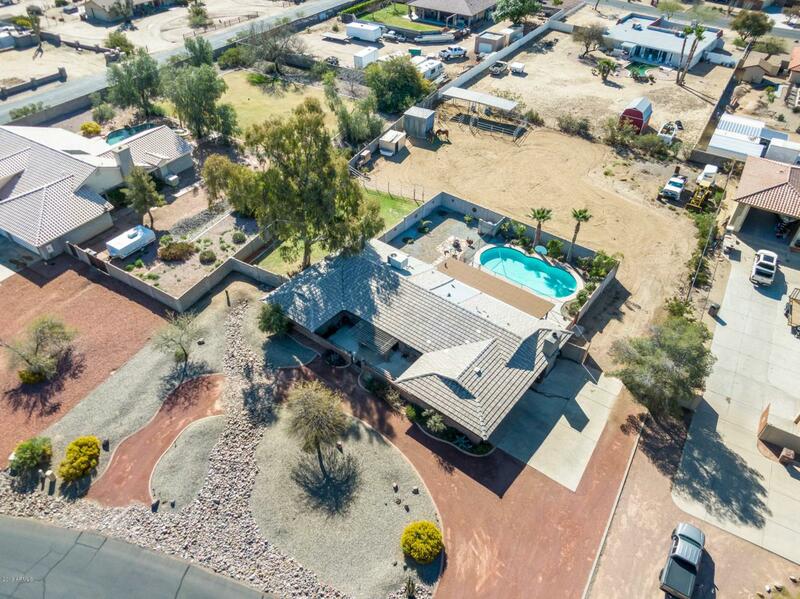 On nearly 3/4 of an acre this custom property features a gated pool, an extended covered back patio, large grassy area, mature landscape and horse corral. 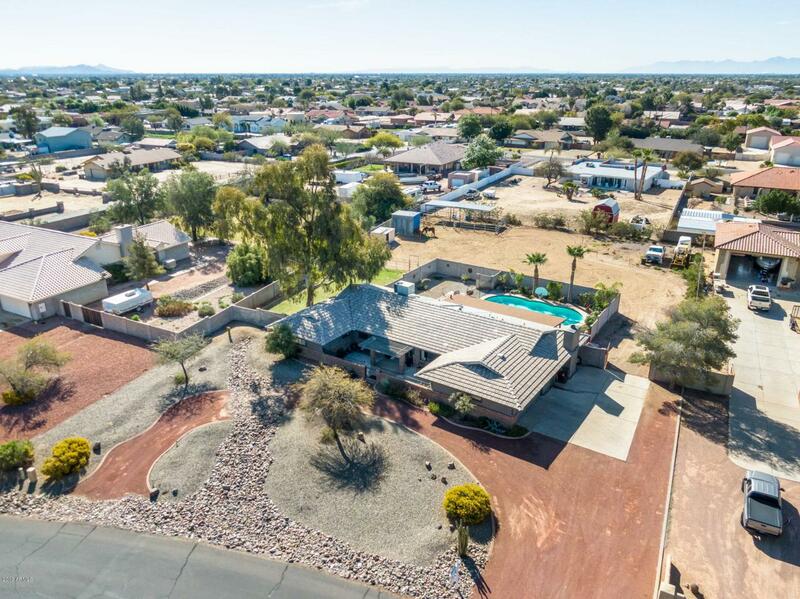 Close to highly rated Peoria schools, shopping centers, and access to the 101 freeway. Don't miss out on this opportunity!